Bunnies can view the video if they have an hour or so. IEHO it is worth it. Eli visited the Brookings Bunny and live tweeted the discussion into the ether where it vanished.but the talk is worth listening to because it goes considerably beyond the usual. Eli is visiting for a talk given by the CEO of Exelon. Starts by saying that impacts of climate change are irrefutable. What the utilities have is a century long record of outages and service calls many of which they can increasingly trace back to climate change (as well as various critters with sharp teeth chewing on wires and such). It would be worth asking if they would share these, or already have, much in the spirit of the US Navy, with urging from Al Gore, making public the records of undersea observations of the Arctic ice pack. Crane, of course, favors market driven choices with elimination of all subsidies but emphasizes the Golden triangle of safety, reliability and cost. The first two are key going into the future because saving costs today leaves business, and generators subject to enormous procrastination penalties if generation and distribution are not hardened to deal with a 1.5 C world, let alone a 2 C one. It's the nature of Golden triangles that you mostly get to pick two of three or at best trade off current costs against future disasters. He sees efficiency as the least expensive renewable energy cost, but as interestingly, does not foresee future nuclear plant builds because of the cost and time. Natural gas is too cheap to afford building new ones. Between the lines you can sense that he is not a real believer in modular nuclear. He would be pleasantly surprised, but mostly is not betting Exelon's bottom $30 billion on it either. As Eli has been pointing out this means that the ONLY way of building lots of conventional nuclear plants is for governments to do it (Russia and China) or finance it (France) to absorb the up front capital costs and long build times. The government could lease the plants back to operators for annual payments to finance continuing new construction. One of the few new technologies Crane is optimistic about is using high pressure hydrogen to cover the times when renewables are not producing. Eli would point out that for some applications heat from burning the hydrogen could be used directly and yes Crane knows about embrittlement. He is a very sharp cookie. Perhaps the most interesting take away is how Exelon views carbon capture, not as a way of reducing carbon in the atmosphere, but as an enabling technology for expanded natural gas generation. Eli sees the sense of this because natural gas after scrubbing is a clean fuel with essentially a single component, methane, whose combustion produces a stream of almost 100% carbon dioxide and water vapor. The two components are relatively easy to physically separate which makes carbon capture easier, and the CO2 could at least in principle be re-injected into the natural gas wells. As far as the political side of the coin Crane sees customer and state demand for zero emissions and federal resistance. He sees no point in trying to make believe that coal or oil is coming back to appease folk in WV, TX and various luckwarmer and denier think tanks. The current US government may be bypassed, if for no other reason that utilities are state regulated. While the prospects for a national carbon tax (much better than regulating emissions in his opinion) are grim, state or regional ones could happen. As an operator of utilities he sees that the climate is changing and this has already become a huge cost. Exelon in the immediate future will close its older and expensive to operate nuclear generating plants, but closing all of them is dumb. Germany has shown that the major effect of that is to increase the burning of dirt, aka lignite. Clearly, according to Crane, the US has lost its base for building new nuclear plants which absent a new capital allocation mechanism will not improve, leaving the capacity for new nuclear builds worldwide mostly for China, Russia and Japan who have the technology. Which brought the conversation to what will be needed to go carbon free, or at least carbon less. Networks and resistance to network expansion are keys. New England is hanging by a thread in winter because loss of a single natural gas pipeline would put them in deficit but there is considerable resistance to new ones. Expanding the electrical distribution network faces the same issues. 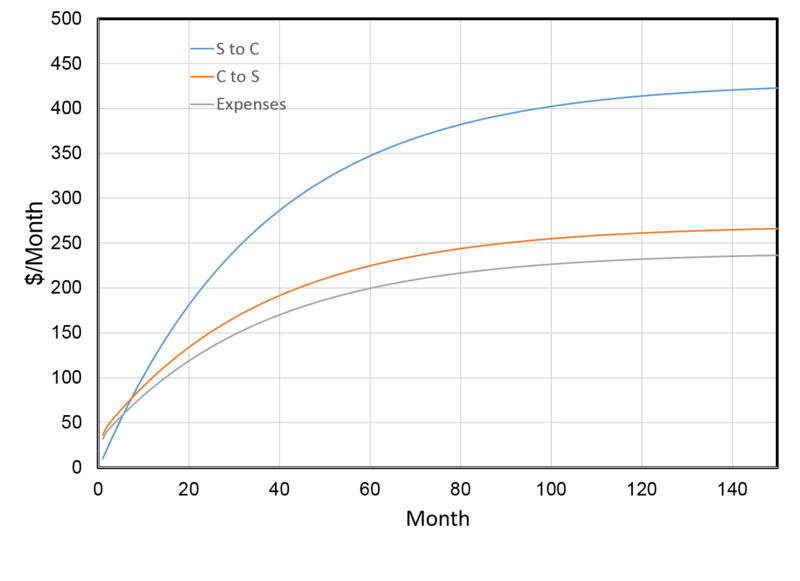 Grid reliability requires network expansion both for fuel and electrons. If nuclear is not benefited for emissions reduction as renewable energy is then fossil fuel use will increase. Utilities in the US have to allocate capital in a 30 year time frame. Rebuilding the network for two way flows (e.g. for rooftop solar) will be expensive and, if it is to be done start soon. Simpler technologies like smart meters can make a contribution and have a surprising to Eli benefit of immediately notifying operators of outages and speeding up response before troubles spread and the carrots in the fridge go bad. As such things go worth a listen to understand climate change issues from the point of view of the utilities. Note: Edited to spell Exelon the way the SEC prefers it. 24. Reason did indeed devise all these things, but it was not right reason. It was man, but not the wise man, that discovered them; just as they invented ships, in which we cross rivers and seas – ships fitted with sails for the purpose of catching the force of the winds, ships with rudders added at the stern in order to turn the vessel's course in one direction or another. The model followed was the fish, which steers itself by its tail, and by its slightest motion on this side or on that bends its swift course. 25. "But," says Posidonius, "the wise man did indeed discover all these things; they were, however, too petty for him to deal with himself and so he entrusted them to his meaner assistants." Not so; these early inventions were thought out by no other class of men than those who have them in charge to-day. We know that certain devices have come to light only within our own memory – such as the use of windows which admit the clear light through transparent tiles, and such as the vaulted baths, with pipes let into their walls for the purpose of diffusing the heat which maintains an even temperature in their lowest as well as in their highest spaces. Why need I mention the marble with which our temples and our private houses are resplendent? Or the rounded and polished masses of stone by means of which we erect colonnades and buildings roomy enough for nations? Or our signs for whole words, which enable us to take down a speech, however rapidly uttered, matching speed of tongue by speed of hand? All this sort of thing has been devised by the lowest grade of slaves. 26. Wisdom's seat is higher; she trains not the hands, but is mistress of our minds. Any learned person of the time would have understood that different cultures have different levels of technology, and even that their own culture had simpler technologies in the distant past. Here, Seneca takes that understanding to the next level, that technological change has happened recently. He's so close but doesn't quite get there to realizing that technological change will keep happening. It would have been interesting to see what he or others might have anticipated, two thousand years ago. He doesn't get there AFAICT because he's not interested in technology but rather in the nature of true wisdom, and in concluding that wisdom does not concern itself with practicalities. Too bad - if Seneca and others like him had been more concerned with practicalities, maybe Roman technological improvements could've moved faster than they did. Lately Eli has been playing Clarissa, explaining all the thermochaff thrown up against the wall by his friends the confused. First it was the Green Plate Effect showing how the presence of a colder third body decreases the cooling rate of an externally hotter one. Then Eli pointed out that all of the heat flows between the sun, the surface, the atmosphere and space balance. These are, Eli hopes useful cites to others. showing the flows into and out of the Surface and the Atmosphere. Solar irradiation is shown in yellow, IR emission to space in green and the flow between the surface and the atmosphere are shown in brown and red. If we plot the outflow to expenses, and the interchange between the Savings and Checking accounts as a function of time, what happens? The flows between the Savings and Checking account reach equilibrium in about 12 years as does the monthly outflow. 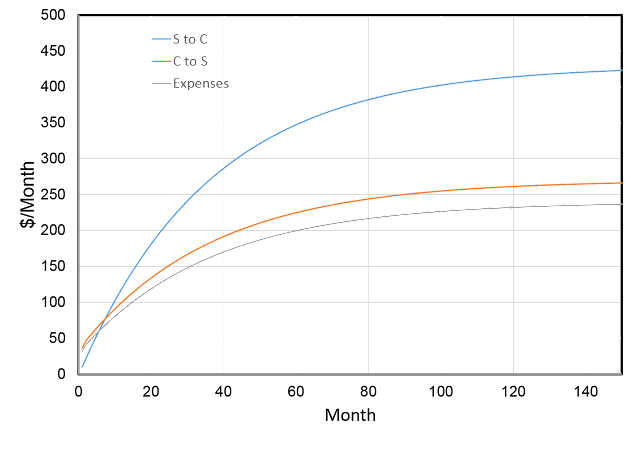 The numbers are pretty close to those in the energy balance diagram, but not exact because Eli has simplified stuff. The percentages were adjusted so the equilibrium outflow is $240 but that was just for giggles. Also interesting is that the Savings and Checking accounts both reach equilibrium. Just like the Green Plate Effect, this is not a mystery, simply the result of counting. The inflow cannot be compared to the flow between the two accounts (reservoir) which is what the Ned's of the world try to do. Conservation of dollars only requires that the flow into the two accounts (reservoirs) be the same as the flow out when a steady state is established. Until then the flow out is lower, but in the case of the earth that happened millions of years ago. Longtime readers may remember that I (Brian speaking here), realizing what great reputations politicians had, decided to become one myself, and was elected to the board running the water agency for Silicon Valley for four years. I wasn't re-elected, moved to Belmont in the neighboring San Mateo County and went on to other things. Until recently. 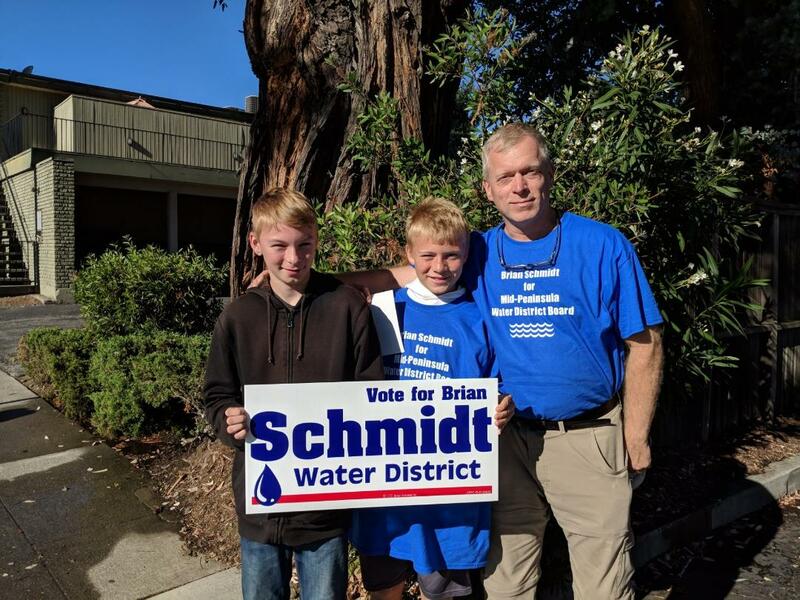 My councilmember said there was an open seat on Mid-Peninsula Water District, the public water agency providing retail-level water supply in Belmont and some adjoining areas. It's a much smaller agency serving 30,000 people instead of 2 million, so I think I can do it while continuing my main work at Greenbelt Alliance. So, unfortunately in lieu of more blogging that's what I'm spending some of my time on for the campaign this fall and hopefully afterwards - we'll see how it goes! I hope to emphasize some of the same water conservation issues I worked on at Santa Clara Valley Water District, issues that overlap directly with responding to climate change. And if you happen to live in Belmont or know someone that does, check out my Facebook page for the campaign, or more objectively the League of Women Voters website comparing the candidates.